Between 2000-2004, the CARB worked with Union Pacific (UP) to prepare a health risk assessment for the UP Roseville Railyard. The UP Roseville Railyard is considered the largest classification (i.e., putting trains together) yard in the west. 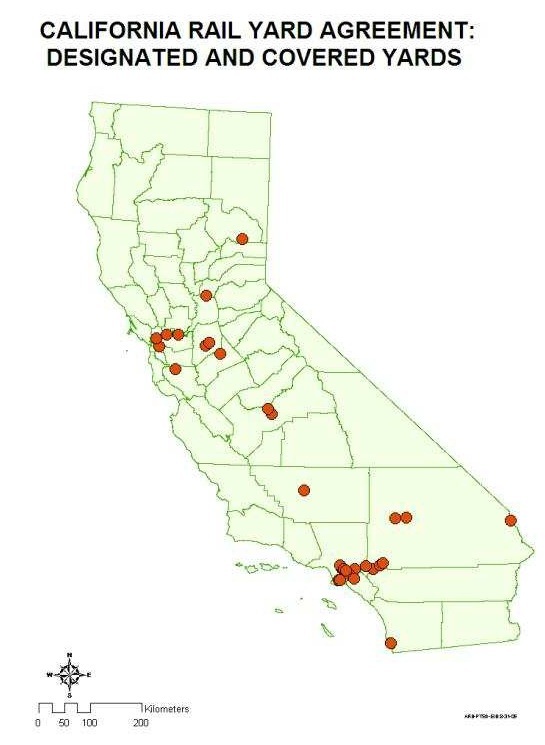 In addition, UP and BNSF have prepared emission inventories and air dispersion modeling results for 17 major railyards in California. CARB staff reviewed and approved the inventories and modeling results and used this information to prepare health risk assessments for the 17 major railyards between 2007 and 2009. Based on the health risk assessments, UP and BNSF prepared draft mitigation plans to identify measures that would reduce the 17 major designated railyards diesel PM emissions from 2005-2020.